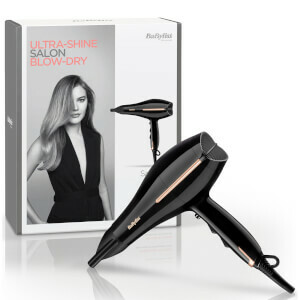 The Wahl Chrome Ionic Dryer will dry your hair quickly and easily. Lightweight yet powerful, there's 3 heat and 2 speed settings, plus a cool shot button to set your style in place. Easy to clean, there's also a removable air filter which prevents clogging, as well as a soft touch grip which makes the dryer comfortable to hold. Pros: Lightweight, Cons: Not very powerful, took over 30 mins to dry my hair which is fine, whereas it took 10 with my previous one. Hardly any difference between cool and medium heat yet high heat burns. Personally wouldn't recommend it. Easy to handle and quite lightweight as well as being a lot quieter than my old one. The ionic bit does make a big difference to the hair as well. 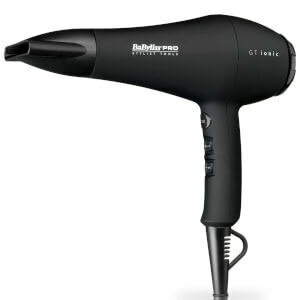 Hair dryer is good enough for home and basic salon using. The size and the weight of this hair dryer is fine. It matched its power. I like that it has 3 temperature control button for me to choose a warmer or cooler wind. Fabulous dryer....beats my nicky nicky clarke and revlon...dries in good time and easy to hold. Nice and light.